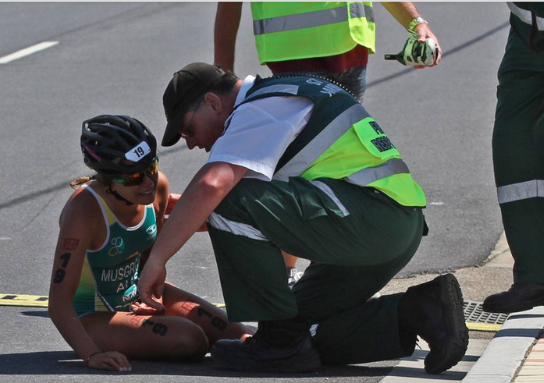 2015 brought the celebration of the 30th year anniversary of the Devonport Triathlon and this had much more of an affect on me than I would have thought. I attended the official celebration of the anniversary where I heard stories from past years and realised most of Australia’s greatest triathletes have made their mark at this race. I also had the privilege of staying with the very accommodating Redman family. Not only did they make my life leading up to the race very easy but I was also given an insight into Craig Redman’s competing days and the great athletes he raced against. 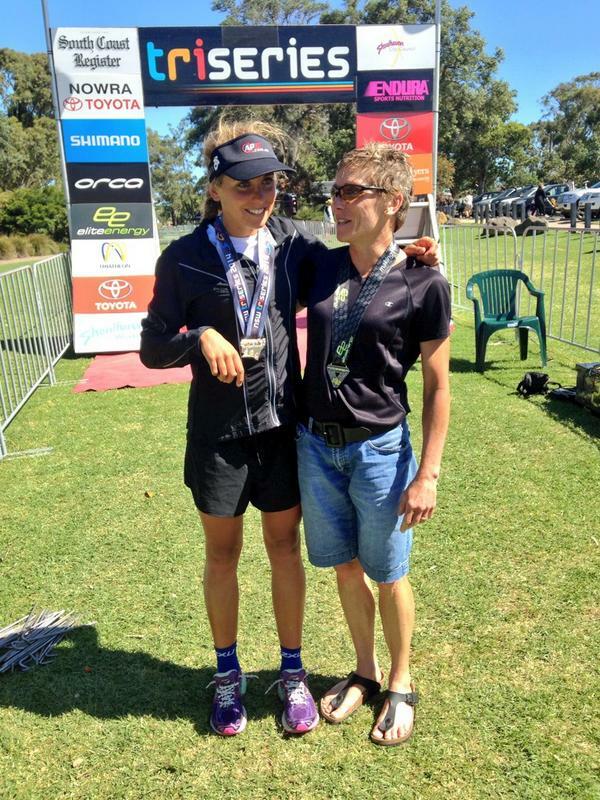 One sentence stuck with me and that was when Craig Walton’s coach told him ‘No matter what, you finish this race’. Despite getting a flat tyre mid ride, Craig went on to finish the race and as a result was selected for a World Championships. Braddons Lookout. Not a bad place for a Tasmanian history lesson. Fast forward a few years and I am on the start line at Bluff Beach in Devonport nervously waiting to race my first ITU Olympic distance race since October 2013. 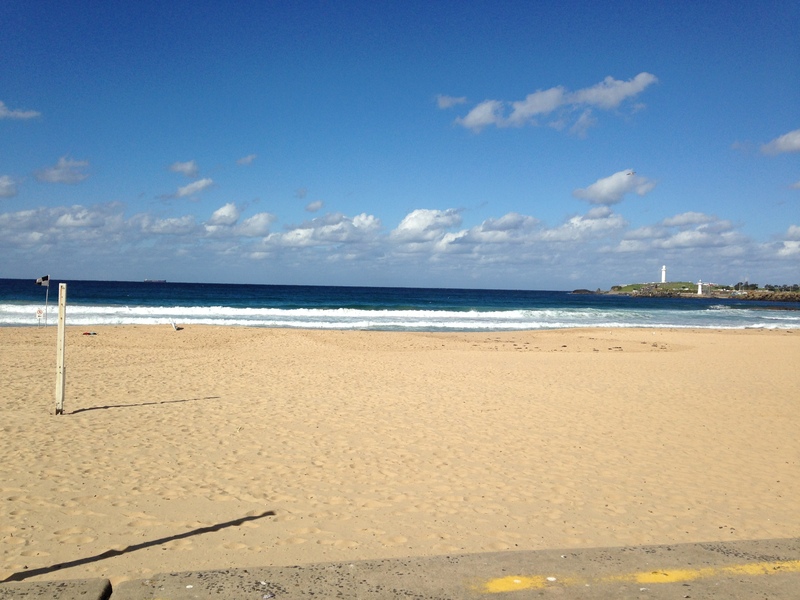 With the water being 20.5 degrees, the 1500m swim was to be a non-wetsuit swim. For someone who lives 800m from the beach, my start wasn’t the best so I spent about 1km searching for the feet of the front pack girls. Amongst the choppy water I found some good feet and exited the swim in the front group. The bike course was slightly different to previous years. The laps were shortened which meant 8x up the famous North Street hill. The benefit of being coached by the person who suggested this course variation is that I felt prepared. 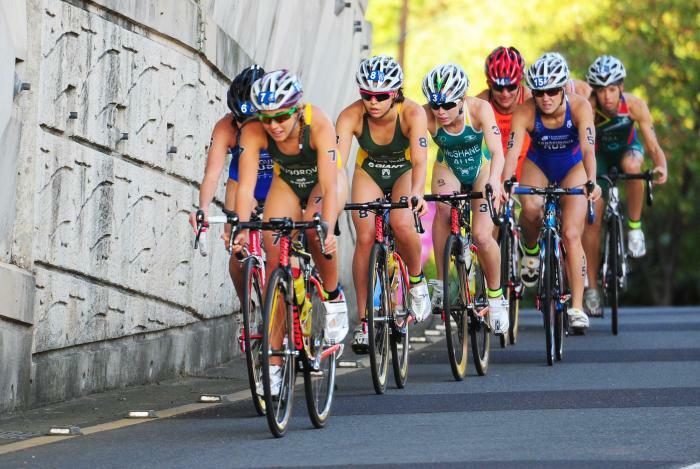 The lead pack of 7 worked pretty well together and we hit transition with a bit of a lead…well 6 out of 7 of us did. I had a slight tumble at the dismount line. 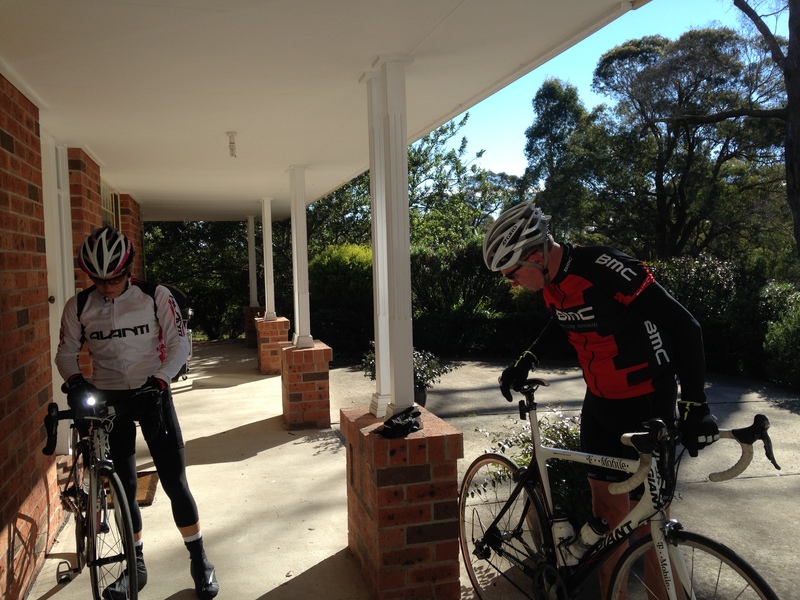 I had spent the final 2km of the bike ensuring I would be in a good position coming off the bike. I’ll let the pictures do the talking. I think I was winded for 20 seconds or so and then when I realised things felt ok, I remembered what Craig Redman had told me and I said to the paramedics, ‘I’m fine’, grabbed my bike and hit transition as though that had never happened. 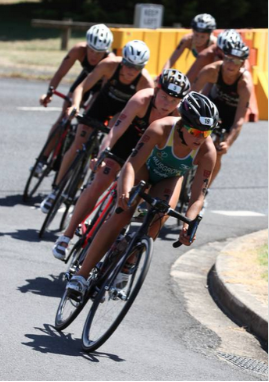 I was slightly shaken in the first lap of the run but I soon found a little rhythm and was able to pick up two girls leaving me to cross the line in 5th position, 2nd in the U23 Oceania Championships and 2nd in the Australian Championships. Overall, I am content with my result. I still have a lot to work on but things are heading in the right direction. 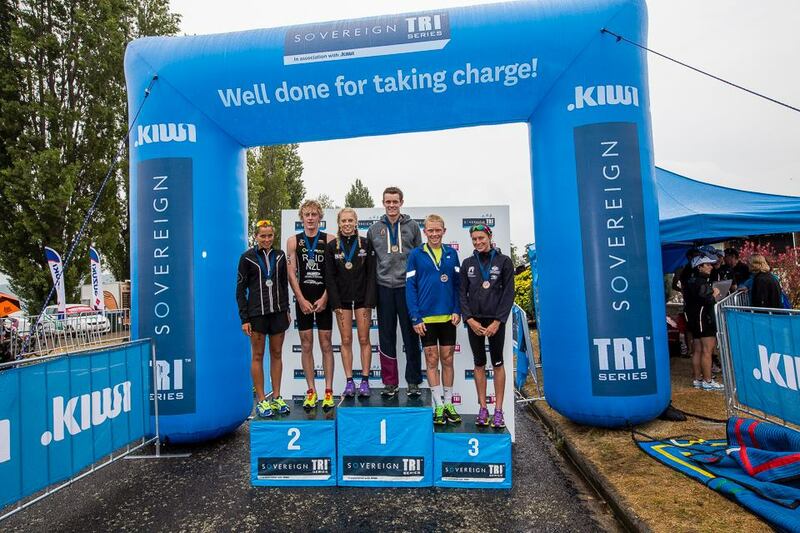 Thank you to; Triathlon Australia for their continued support over the weekend, Michael Bonney for putting on a very well run event and also to the Redman and Birthwhistle families who both made the weekend much easier. Next up the Oceania Cup in two weeks times on home turf in Wollongong. It has been a while since I have sat down post race and spent a long time staring at a blank word document attempting to think of a way to report on a race that doesn’t send people to sleep. In fact it has been 15 months. So I apologise in advance if I am a little rusty on the old race report. First of all I have to say a huge thank you to AJ Thompson. Every year he offers his house (which is in prime location on the run course) in Kinloch to the ‘Gong Wizard’ athletes racing and he looks after us perfectly. This was my second time kicking off the year with a race in Kinloch and thank fully I came away better off this year than I did in 2013. I was pretty nervous race morning and I think it was a mixture of bad memories of the course and the fact I have not raced ITU for so long. I just took everything step by step with a little ride in the morning, some time spent relaxing then headed down to the race site where I registered and warmed up. I had a quick chat with my coach Jamie before the race and he basically told me to go out and race as hard as I could so I would have an accurate idea of where I am at early on in the season. So that’s what I did. 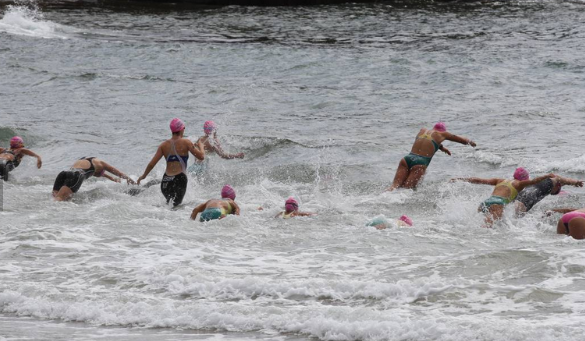 I came out of the 750m non-wetsuit swim with the front group and we quickly caught the 3 girls up the rode, leaving some girls behind to form a group of seven. As soon as we jumped on our bikes, the rain started which added a whole other dynamic to the bike course. The worst thing that happened to our group was a chain coming off up the hill but nobody came down so it was actually a pretty successful ride. I hit the 5km run in 5th position and battled for 2nd to 5th throughout the whole run. I tried to focus on the processes during the run instead of the outcome but just didn’t have the leg speed or race practice to do any damage. 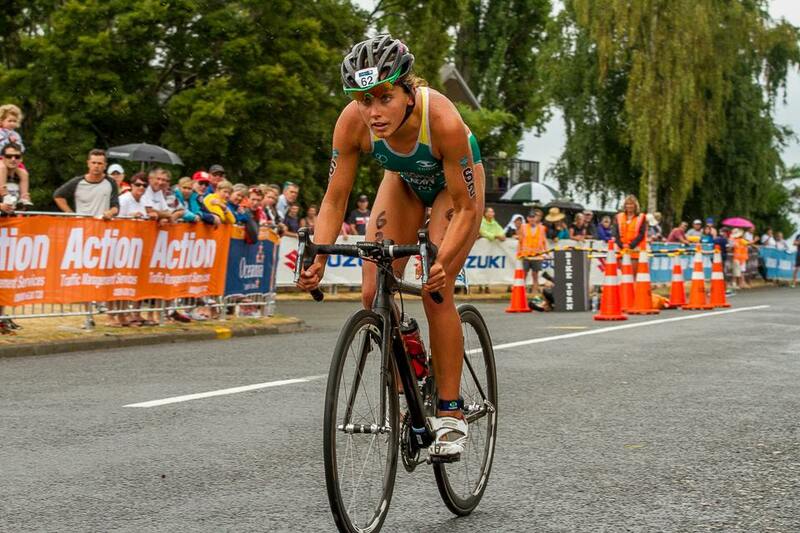 I crossed the line in 5th place and 2nd in the U23 Oceania category. If you want to see a great snapshot of the race, Tom Honig put together some great footage. On a whole I am happy with my first race of the season despite having plenty of things to work on in the coming weeks. Thank you to everyone who has helped me over the past 12 months through the ups and downs. There are too many people to name but without that support I wouldn’t be back where I am now. 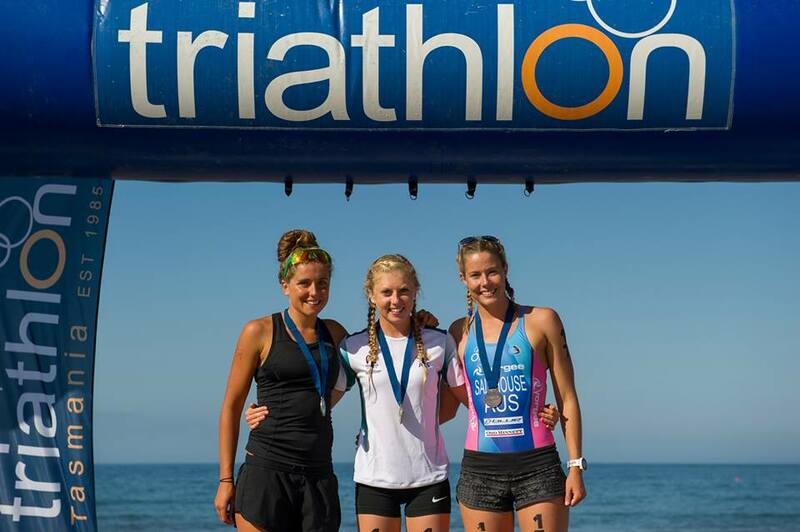 Next up is the Devonport Olympic distance race on the 21st of February. I have not written an update in a while and about 2 weeks ago I began to feel a little guilty about this and started thinking of excuses as to why my posts had been vacant but I couldn’t think of a good enough reason so I just put off writing an update even longer. Although in the past 2 weeks a number of people have brought this to my attention and since I raced my first triathlon in over a year yesterday I thought it was timely to send something out. So what’s been happening in the past 2 months ? 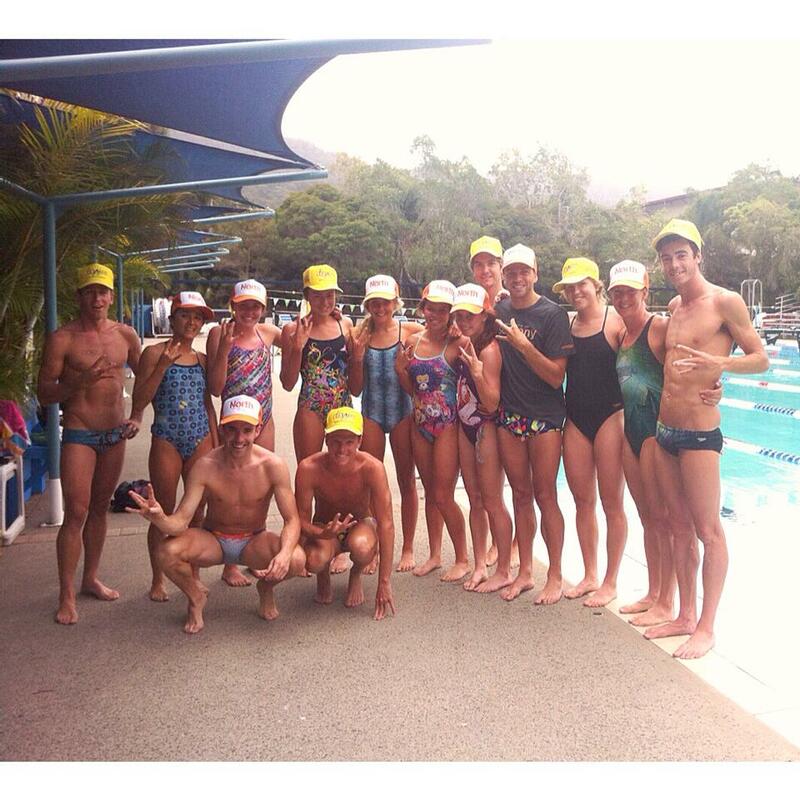 Some of the Gong Wizards migrated back to Wollongong to train before their final events of the year such as Nepean, Noosa and the Xterra World Championships in Hawaii. 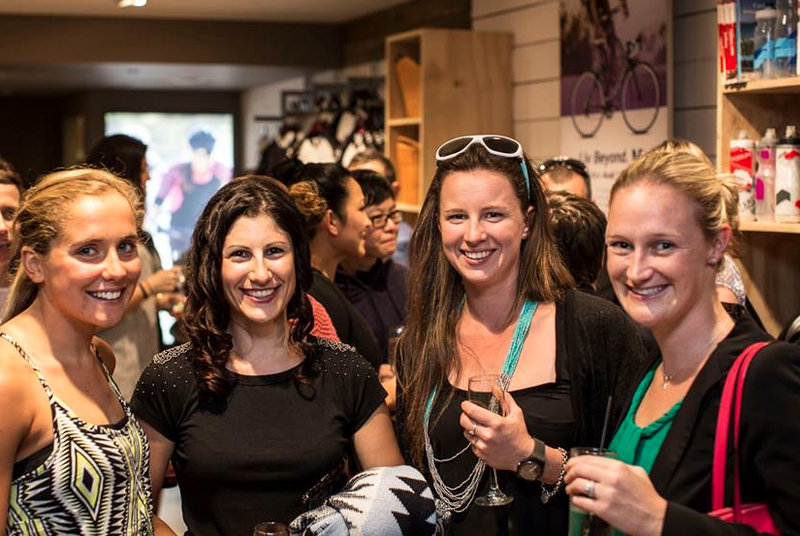 I attended the launch of the Liv Cycling’s special edition Avail road bike that is in support of Breast Cancer Australia. I also was lucky to meet founder of Liv cycling Bonnie Tu. Alex Price and his wife Megan gave birth to a beautiful little girl Ava. I have been going to their house to do my strength and conditioning session 3x per week for most of Megan’s pregnancy so this was a little exciting for me. 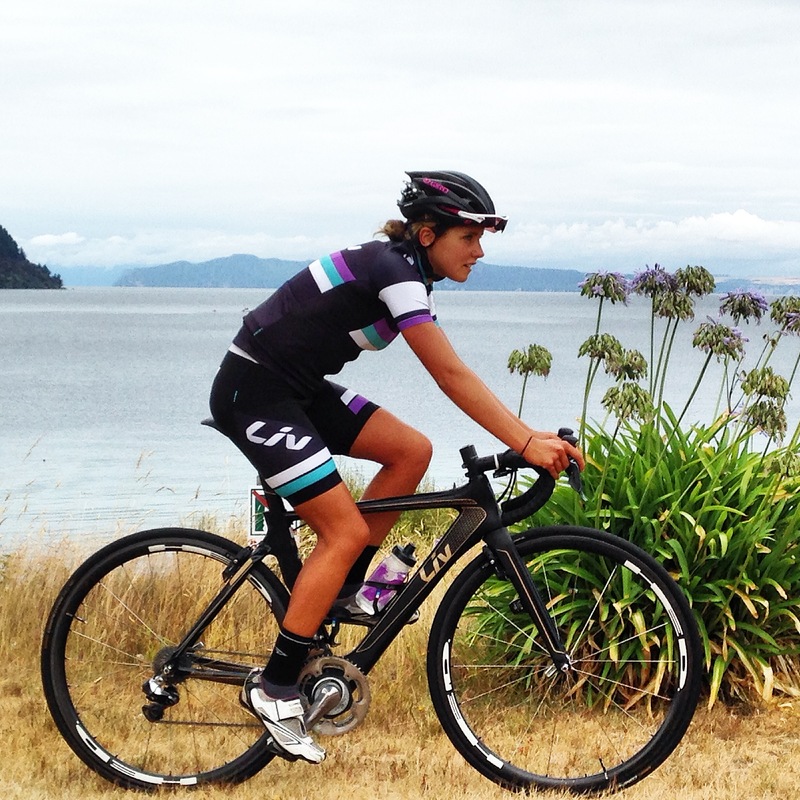 I said goodbye to my black and purple Giant Envie (a bike which sadly didn’t even get to take part in a race). 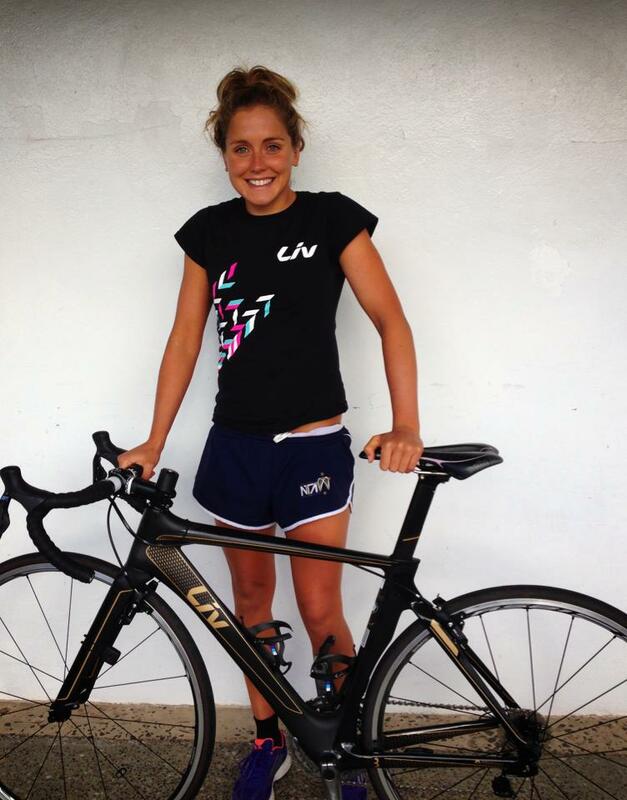 On the same day, the awesome crew at Spearman Cycles set me up with a new Liv Envie Advanced Pro 0 which I love riding. Special thanks to Jess Simpson, Ryan Lennox and Dave Manton for organising this! 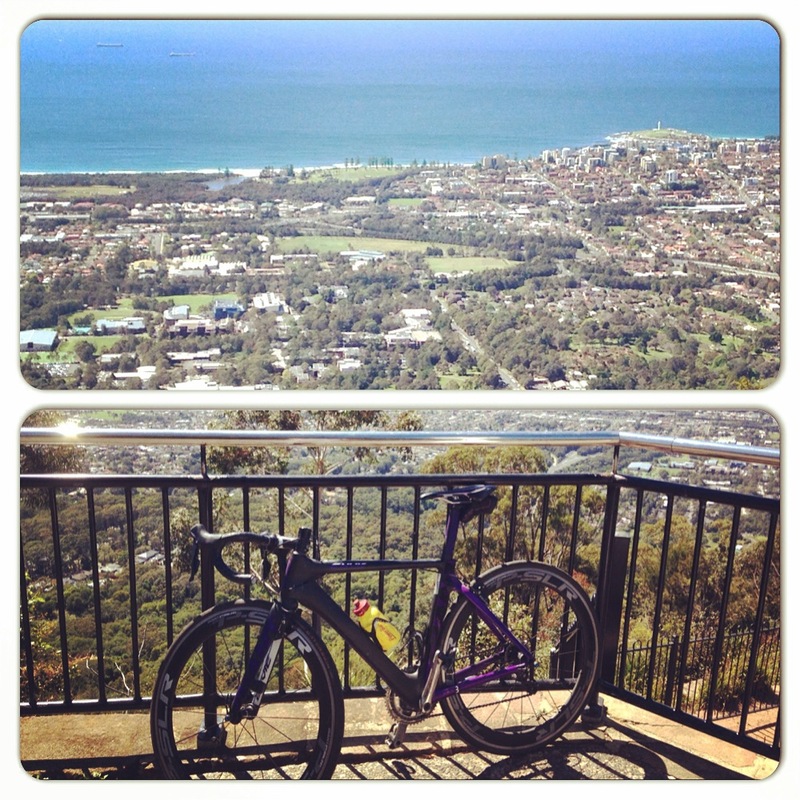 One of my final ride sessions on this bike on Mt Keira, Wollongong. 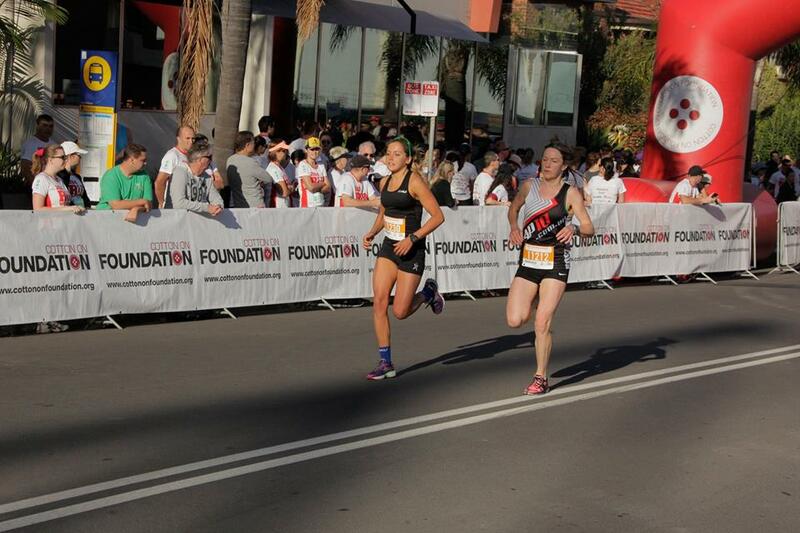 I raced my first fun run since 2012 at Run Wollongong. This was a 5.5km run and with barely any quality run work under my belt, I was pretty pleased with how I ran. 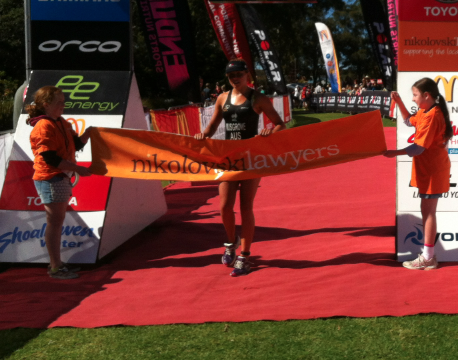 And finally, I raced my first triathlon in over a year. It was so much fun to get back out there and compete after such an extended period of time. Another highlight of that day was my mum raced her first triathlon in a long time and dominated, coming away with a win herself! As always, thank you to everyone who has continued to support me this year; family, coaches, friends, training partners, sponsors, (and everyone who likes my Instagram posts!). 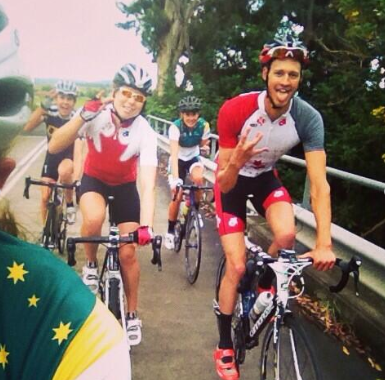 I’m racing the Hamilton Island triathlon next weekend which I’m really looking forward to! Growing up I spent my winter Saturday mornings at the local netball courts playing for my team the ‘Hotshots’. My mum was the volunteer coach and this occasionally frustrated me but looking back there were a few benefits. While mum was always fair I think she made sure I spent as little time on the sideline as possible and I genuinely believe this was so she didn’t have to put up with me complaining about being on the sideline. You see I prefer to be involved in everything competitive and have from a young age so it makes sense I have chosen to pursue triathlon. 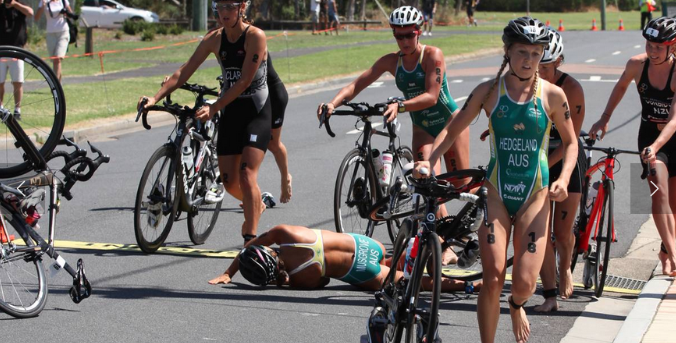 As a 12 year old netball player whinging probably had some benefits but as a 22 year old triathlete sidelined with injuries for the whole of 2014, moaning gets me no where! Yes there have been a few tears, minor break downs and screams under water (a technique Emma Snowsill once told me felt good) but I have tried to focus all my energy on the things I can do, the main one being getting my body 100% healthy and ready for 2015. Other than give up, this was the only option. A complaining, competitive 12 year old. 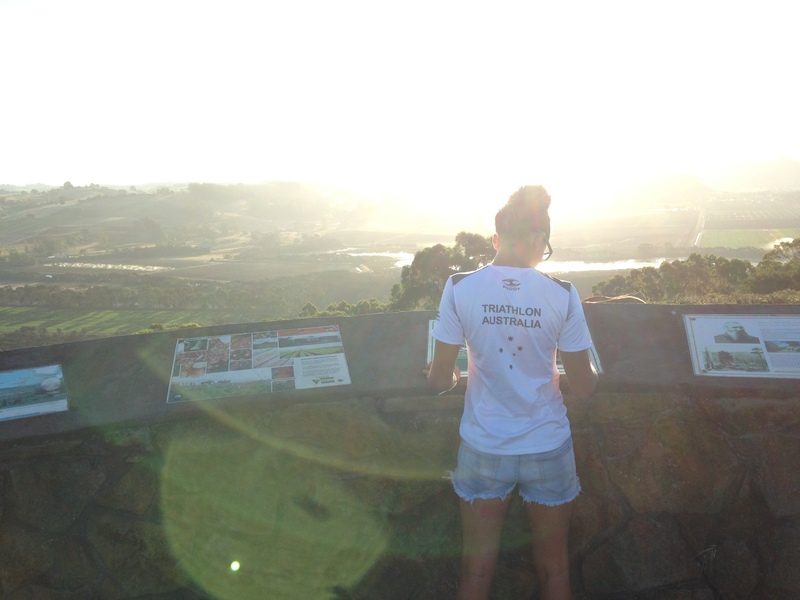 So what have I been up to over the (not so bad) Australian winter? I have still been swimming, riding and slowly building my run back up but all at base training effort. This is complimented by hitting the gym three times a week focusing on building skeletal strength. I feel like all I have been doing this year is base training so by the end of the year hopefully I have a base big enough to build the ‘Eighth Wonder of the World’! I have used this opportunity to spend time purely enjoying training without the pressure of hitting time cycles or power targets. Don’t get me wrong, I have been craving a 1km reps session but I’ll leave that one for a little longer! 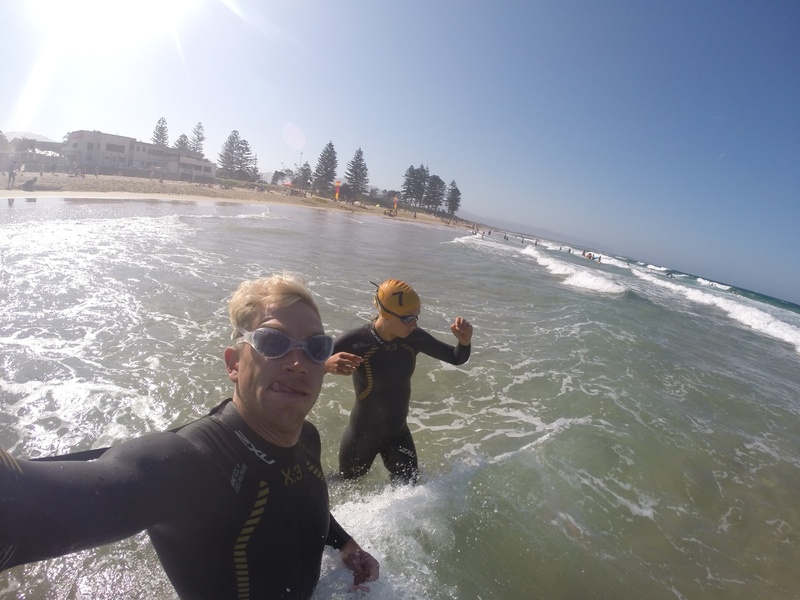 Since my last blog, I have migrated back down to Wollongong, which has given me the opportunity to swim, ride and do gym with other people. Other than being 10 degrees warmer than where my parents live, there are so many people who are willing to train with me. First and foremost my physio Alex Price has been amazing over the past few months. He has guided me in my training based around my return to run program and most importantly built my gym program that is a core part of my training right now. I have been introduced to his hard working and enjoyable AP10 squad and joined in on the occasional ride or swim session. 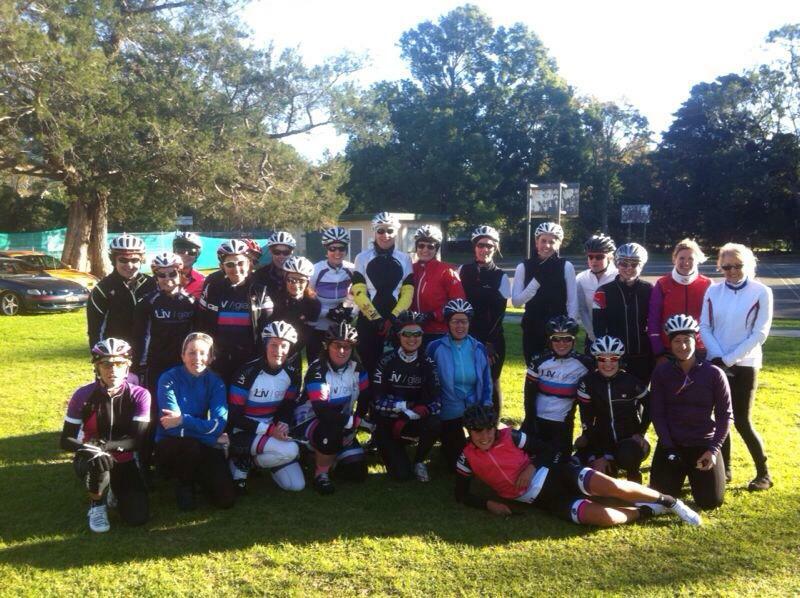 Then there are the numerous cyclists who have allowed me to join their rides. 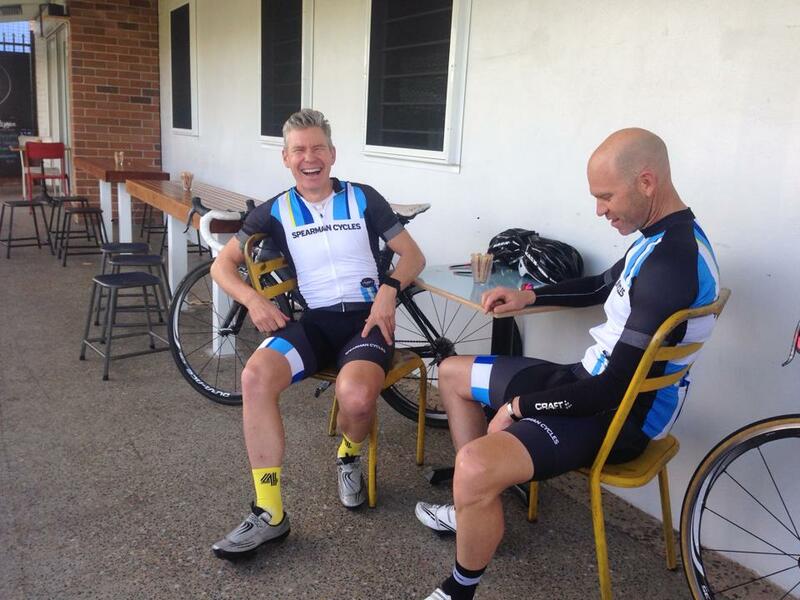 I have ridden with Jess, Ryan and Dave from Spearman Cycles, Scott Butler, Paul Oyston, (the latter two featuring in the new Spearman’s ad) and their crew, Jayden Ward, the Wollongong Liv Giant girls and my parents whenever I go home. The men’s coffee banter definitely entertains me even if sometimes their jokes fly straight over my head! Finally, there are my new friends at the local pool. I have changed it up a bit the past month and decided to swim at Corrimal Pool instead of the Wollongong University pool where the Wizards usually train. 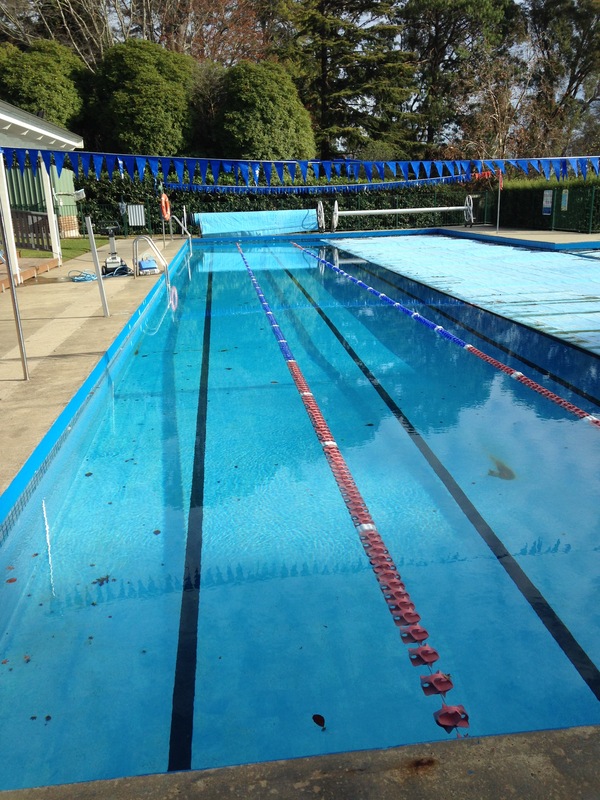 This outdoor 50m pool is just around the corner from my house and most days I get a lane to myself. I generally swim mid morning each day (so I get as much Vitamin D as possible) and as a result I have become friends with a few of the other regulars. There have been days my swims have been delayed half an hour because I have been talking about anything and everything with the Wollongong locals! So that is my June/July/August in a nutshell. I have also been working on a few minor projects but I’ll save that for future posts. As always I want to thank all my sponsors supporting me throughout this tough year and always replying to my updates with positive and encouraging comments! 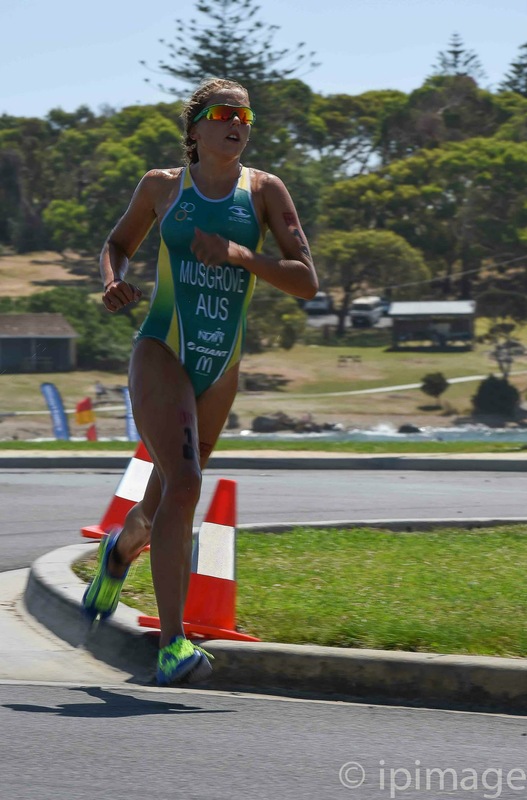 Thank you to Triathlon Australia and my coach Jamie Turner for supporting me and giving me plenty of resources to help get my body right. Although no surprises, the biggest thanks has to go to my parents. They are there to support me through thick and thin and I am so grateful to have their support 100%. 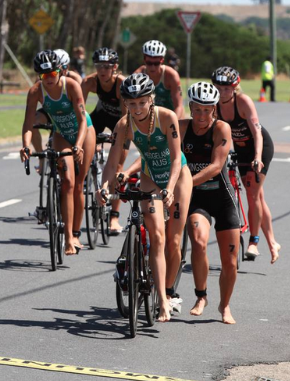 Lastly I want to acknowledge my favourite athletes on the triathlon circuit the ‘Wollongong Wizards’. Even though I am on the other side of the world I can contact any of them at any time and I will get a response. 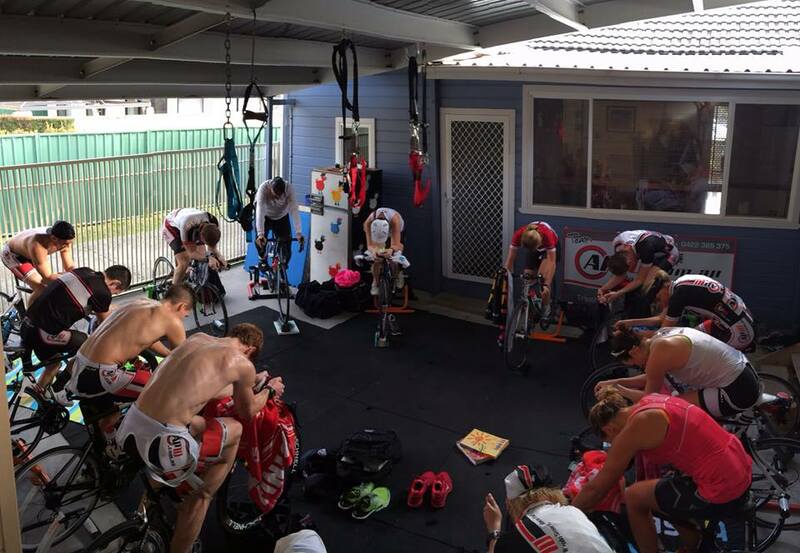 I am so lucky to have the ability to reach out to some of the best triathletes for any advice. I can’t wait to see them in action in the final WTS of 2014 in Edmonton, Canada because I know they have been working hard and I am sure this will show next week! I’m now saying good riddance to winter, a season I hope not to see for a long time. I am not a huge fan of small talk and talking about the weather is the ultimate example of small talk but seriously, I hate winter! Anyone who knows me knows I like all things summer; the long days, fresh summer fruit, days on the beach and summer clothing. I didn’t foresee myself having to endure an Australian winter for a number of years, but I also didn’t foresee myself being injured at this time of the year. I don’t think my mum did either, she decided to throw out my electric blanket when we moved house over Christmas because it was taking up space! First world problems right?! In saying this, so far everything has gone as well as it could have considering the circumstances. 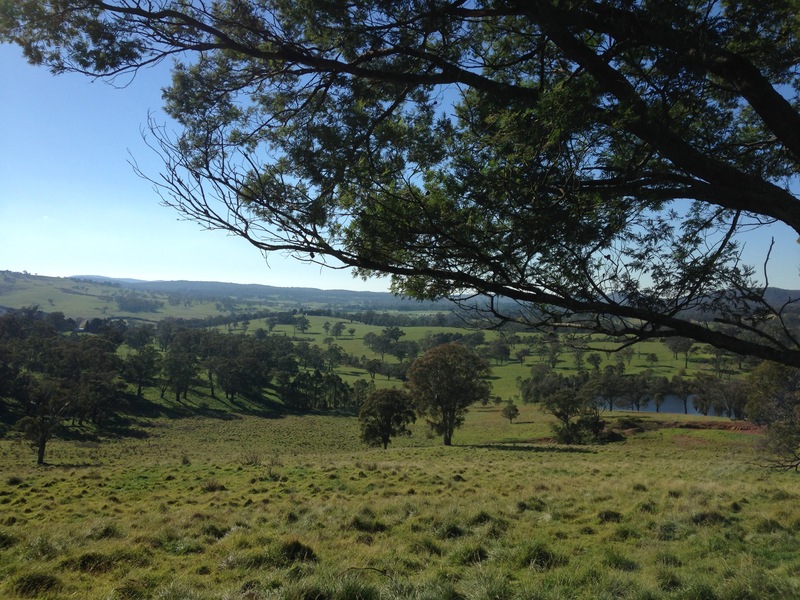 I have been up in the Southern Highlands living with my parents (we live on a boys boarding school for those who didn’t know) and this definitely has its advantages, not only for me but also my parents. I am reaping the benefits of having a heated 25m pool a 2 minute walk from my front door, a nice spacious kitchen to improve my cooking skills and my piano to satisfy my artistic desires. I don’t think my parents mind me being home either as they have been extremely busy with work (which has affirmed my decision to never become a school teacher) so after their long days they come home to a full fridge and pantry, the washing off the line and dinner being prepared. I am going to take this opportunity to gloat and say I have cooked some killer meals lately, the favourite being Slow Cooked Moroccan Lamb with Apricots and Toasted Almonds. In terms of training, May was filled with swimming (mainly pull sets and not much wall contact), riding on the rollers, a few elliptical sessions and my favourite sessions of the week, gym with my physio Alex Price who has been a great support. The latter is now becoming a key aspect of my training for the long term to not only help prevent injuries but to re-invent ‘Grace the triathlete’ as a stronger athlete all round. So far I have really enjoyed hitting the gym and I am excited to see the results of this work in the future. In this past week I have swapped the rollers for the road and have started my very gradual return to run. Everything is done with extreme caution and while this is frustrating, it is progress. It is not Basque Country, but it is home and it’s alright. I have also had the opportunity to spend a night at the Australian Institute of Sport to have some tests done. I had a great night meeting some athletes from other sports including Chloe Esposito an Olympic modern pent athlete, Siann Glanney a track athlete, Brittany Cox an Olympic mogul Skier and two rowers; David Watts and Max McQueeny. These guys made my stay really enjoyable and I was very tempted to stay in Canberra for a little longer to spend some time with them! 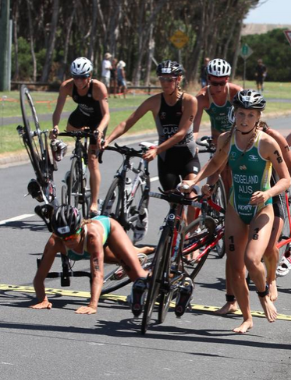 I am very appreciative of the continual support of Triathlon Australia especially in giving me a plan because a lack of direction is one of my worst nightmares! I hate the fact I am not out there racing in my green and gold suit but trust me, I am working just as hard, it’s just not nearly as glamorous as racing. Thank you again to Jamie, my parents and all my sponsors for the support over the past month. Excited to get back to this. I turn 22 this week and for those of you who are familiar with Taylor Swift, I am not embarrassed to say I have tragically listened to her song ‘22’ a number of times already. I have had these lyrics replaying in my head for a few days now and as relevant as they are, it’s really starting to get annoying! April started off really well. I was basically back in to full training in preparation for my first race of the year, Chengdu World Cup until everything came crashing down…literally. 1km from home after a bike session on the velodrome, I was riding on some dirt/mud due to bike path construction and next minute I was on the ground thinking, “I really hope no one saw that”. It wasn’t just my ego that needed damage control but I had split the webbing between two of my fingers. 4 stitches worth of splitting. A huge thanks to Dr Trevor Kemper who fixed me up within hours although there was strict instruction to not swim for a week. So another little hurdle, nothing worth stressing over as my swim was in pretty good form. To be honest I quite enjoyed a little break from the water! Fast-forward a week to the Easter Long Weekend and the hand was healing nicely but a small pain in my lower back turned up. I immediately took a few days off running, chucked in some double swim days to get the feel of the water back. I was religious with treatment daily but this was starting to stress me out and I was hit with a head cold. Seriously?! The next week included some extreme down time, physio treatment, failed attempts at running, frustration and an MRI. I did get the chance to enjoy a swim at North Sydney Olympic Pool on the day we went to collect our Chinese Visa. I sure am glad I organised that one! *&%$#&(_)(&$@$%%* insert any words that you think I may have said when I found out I had a small fracture in my pelvis. Be creative. I sure was. 5 days out from beginning an adventure I had been looking forward to for months and everything came crashing down (metaphorically this time). A few more of these *()*%^#$^&()(* in the following days and I have slowly started to accept this. I am sure people who know me from a far would know this is my second fracture this year. “Another know it all young athlete who came back too quickly”. Not that I care what people think but to clear things up I had a very slow, at times painfully slow return to running after my previous fracture. More often than not, I would be the one to cut runs short or slow paces down because I wasn’t 100% confident in my body’s ability to handle it. The fact that all my hard work and patience over the past 5 months came to this is probably the most heartbreaking part of it all. So where to from here? Well not one of my favourite places in the world, Vitoria-Gasteiz (that is the next most disappointing aspect). Triathlon Australia have been amazing in creating a plan for me to return to the start line as a stronger, faster and better athlete. This is a multiple phase plan that will hopefully allow me to rejoin the ‘Wollongong Wizards’ (ideally in Spain) at some point. But there is a lot more I need to focus on before I start thinking about that. A huge thanks to the Triathlon Australia High Performance Team; Bernard Savage, Mark Young, Greg Cox, and my physio Alex Price. I have complete confidence in them and am very grateful to have the support of such a high quality federation. I have had uncountable conversations with people I respect over the past few days and it has made me realise this obstacle is something I will gain tremendously from if I approach it the right way. I am surrounded by and have accessibility to some of the best triathletes in the world past and present who are willing to have a chat. Also everyone in the ‘Gong Wizards’, whether they are Australian, Canadian, American, Chilean, Hungarian or Irish have been great support. My coach Jamie Turner always knows what is best for the athlete and it is his guidance I trust more than anyone. Most importantly my family who are my biggest supporters are the best people to rely on and I’m very lucky to have them close by. So, this is not the end of the world. There is a plan that on paper appears to have a positive end goal. Very different to the plan I had in my head a month ago but I will just get on with it and keep you updated along the way. 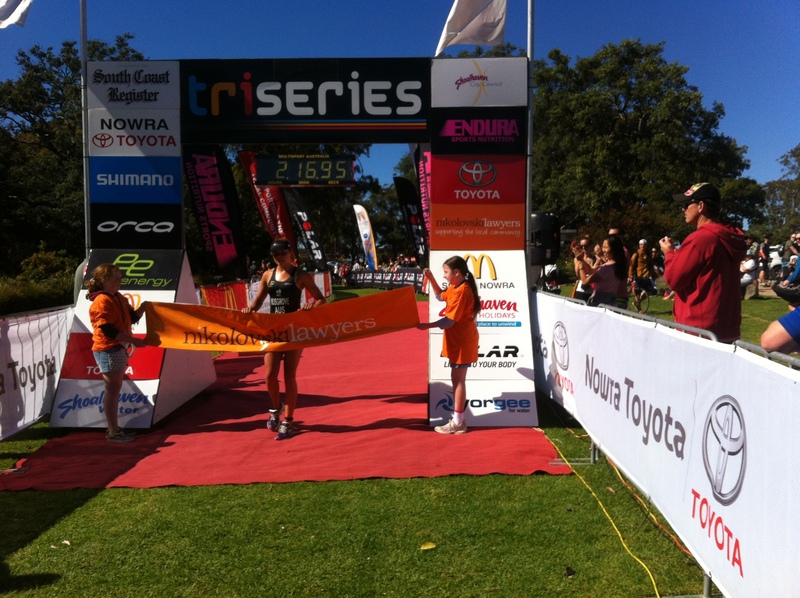 February 2014 has been very different to February 2013 in that I am yet to race although this is not such a bad thing. This gives me an opportunity to strengthen my weaknesses that were exposed in 2013 which will allow me to have a more successful European season! Training with the Wollongong Wizards has really picked up over the last month with my new favourite session being the bike session on the velodrome. The session varies weekly with the most recent being some four minute Team Pursuit races which are a great way to get competitive, work hard and go fast! A definite highlight of this month was spending a week on the Gold Coast for rehab purposes. 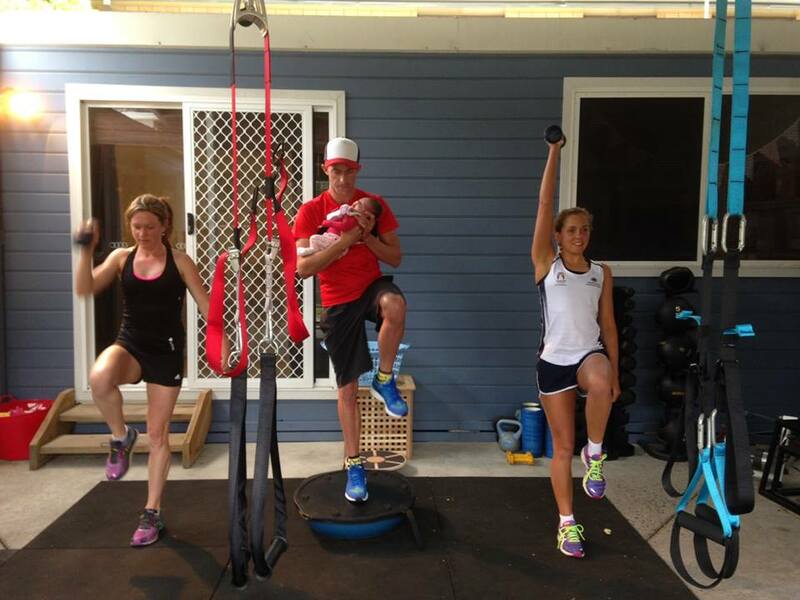 Thanks to Triathlon Australia, I was given the opportunity to use the Alter-­‐G treadmill at the Gold Coast base and meet the lively and welcoming staff up north. Ashleigh Gentle and her family kindly allowed me in to their home for a week and were really accommodating, making my stay easy and enjoyable! 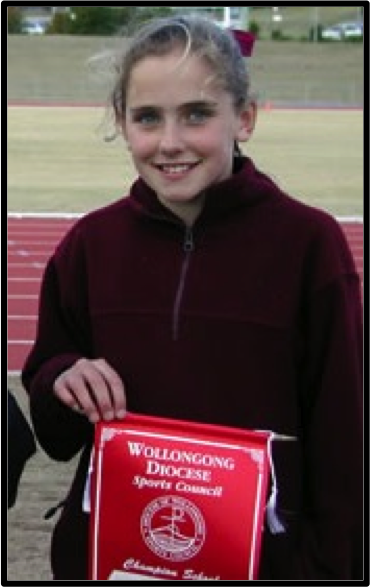 In the short period Ashleigh influenced me with a few of her ways particularly her baking skills, and Easiyo yoghurt making abilities! I have brought both of these habits back to the Gong, which led me to thinking about my most frequently purchased grocery items. This is my permanent shopping list. I don’t think there is anything too out of the ordinary but a lifetime supply of these items would be greatly appreciated! 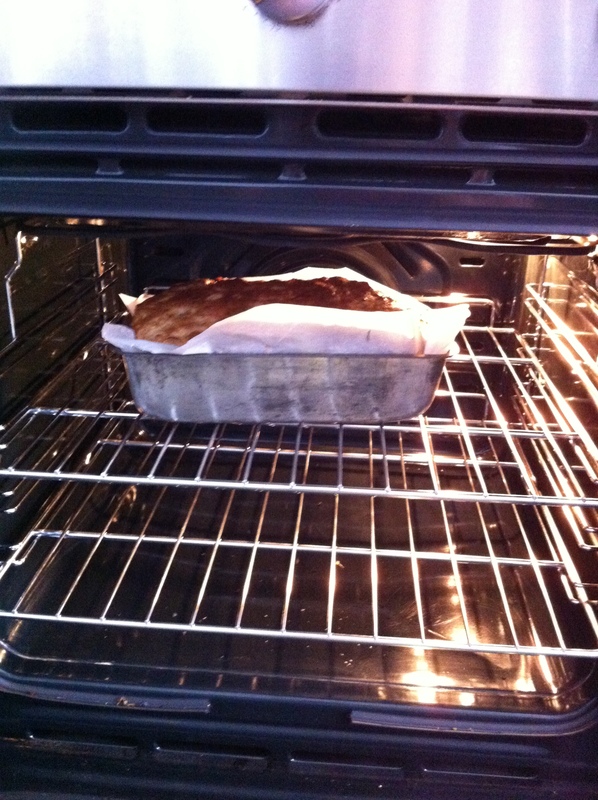 I have also been trying my hand at baking so watch this space and be nice to me because I often bring baked goods! In other news, I am very happy to be rocking out in my new Zealous Swimmers on pool deck these days. The beautiful designs and great fit makes swim sessions that little bit more enjoyable, even the tough heart rate sets! 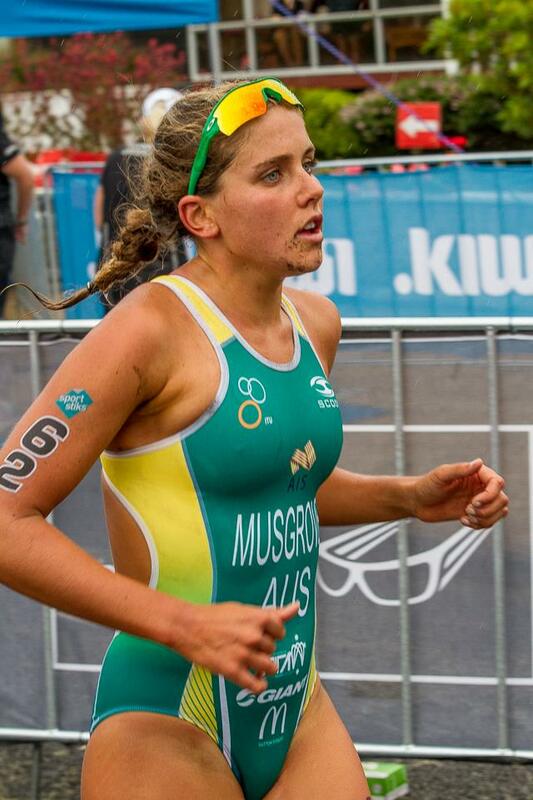 I am looking forward to updating you on my progress over the next month when my first race should be in sight!